Today, we are showing you the best cat toys for Bengals. Stimulating toys are among the most essential cat supplies you can get for the well-being of your little guy. Not only does your Bengal’s physical health rely on toys, but also your Bengal’s mental health does, too! 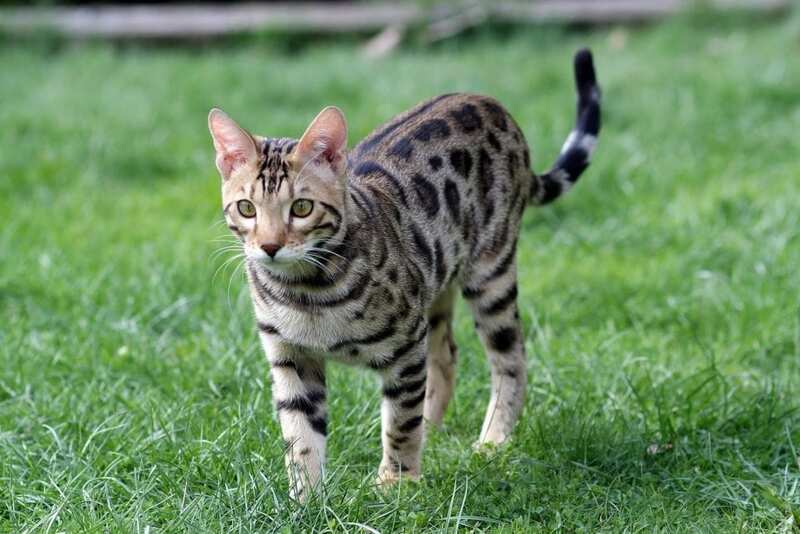 As you know, Bengals are one of the most active and smart breeds of cats out there. In fact, very little time in the day passes when a Bengal is not busy — whether jumping on inanimate, human or other prey or getting into just about anything, your Bengal is on the move. Finding your Bengal a toy or toys that will entertain, keep him happy, and trigger his natural instincts to hunt is one of the most important things you can do to ensure your Bengal’s overall welfare (and your sanity). Bengals arguably have the highest energy levels of any breed of cat. As a result, it is very important that you find a toy to keep your Bengal busy in a healthy and productive way. Furthermore, a toy that keeps your Bengal entertained will provide many benefits to both you and your Bengal. 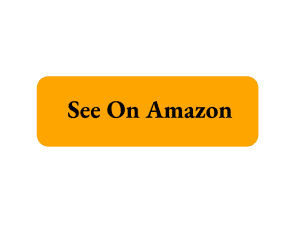 A fun toy that your Bengal enjoys playing with will promote your cat’s exercise and health, keep kitty from getting bored, and direct your cat’s energy away from destructive and annoying behaviors. Further, the right toy for your Bengal will satisfy its natural hunting instincts for a healthier and happier cat. 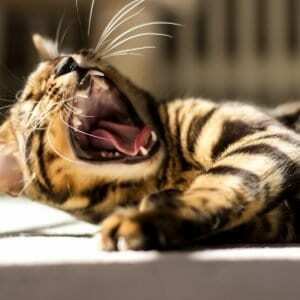 You and your Bengal will enjoy fun play times, and you’ll know you’ve assured your Bengal’s well-being. Each of the toys below have a different purpose, but they all are one of the best cat toys for Bengals in their own way. This toy is perfect for entertaining your Bengal, and activating its natural hunting instincts. Your cat has to try to catch the mouse that spins around the toy as your Bengal tries catching it. The FYNIGO Interactive Cat Toy is not automated, but it is very responsive to any little touch. As your Bengal tries pawing at it, the mouse on the pad will quickly “run” away. The fake mouse’s fur is very life-like, which stimulates your Bengal’s hunting instincts further. The running mouse track pad does not require any batteries, and makes zero noise. The toy is not too big (10 x 10 x 2.6 inches), so you can really put it anywhere you want. Make sure to check out this toy, because it is one of the best cat toys for Bengals available and will also be kind to your wallet! In our opinion, The Easyology Amazing Roller Cat Toy is one of the best overall Bengal cat toys. It is another track pad type toy. However, the Easyology Cat Toy has three levels for your Bengal to play. The balls on each level mimic natural prey because your cat has to “hunt” the balls, which are very difficult to pry out. Also, the toy doesn’t contain any small plastic pieces, so you don’t have to worry about any potential choking hazards. In addition, the toy is made of ABS plastic material, which is known for its stable but functional design. Another huge benefit with this toy is the manufacturer’s return policy. If you don’t love it, you have a month to send it back, and you will be fully refunded. The product is 9 x 5 x 9 inches, so it ill entertain your Bengal without being an obstruction in your home. We definitely believe this toy belongs on the list as one of the best cat toys for Bengals. The Friends Forever Interactive Cat Laser Toy is very different from the two options described above because your cat does not stay in one place while playing with the toy. It actually shines a laser around the tower’s vicinity to have your cat scamper around hunting the laser dot. Your Bengal actually chases the laser dot so you won’t have to worry about your Bengal not getting enough exercise. This toy runs off batteries. Since the toy does not need proximity to a wall outlet, you can place the toy wherever you like. No cords to trip over! Also, the laser toy has three (3) different rotation settings (fast, slow, and random), so you can vary how hard your cat is exercising to meet kitty’s needs and energy level. Another plus, the toy has a 15 minute automatic timer limit to make sure your Bengal doesn’t overdo it and you can easily determine the right amount of playtime. Furthermore, this toy is 8.5 x 4 x 4 inches, so it won’t take up too much room in your house. All in all, this toy is definitely high on the list as one of the best cat toys for Bengals. The Moody Pet Fling-Ama-String is a highly-rated product. This toy engages Bengals’ attention and hunting instincts by causing string to randomly fly in out of it. Your Bengal is mentally and physically stimulated as kitty tries to catch the string! This toy is one of the rare choices that challenges your cat to hunt an elusive and unpredictable “prey” when your cat’s humans are otherwise occupied. In addition, this multi-award winning toy has two speeds to fit both very energetic and less athletic Bengals. And, you’ll love how easy this toy is to be ready for playtime. No assembly required. Just AA batteries and the game is on! In my opinion, this toy is great in providing your cat a live prey like hunting experience. For that reason, it is one of the best cat toys for Bengals. There are many cat toys out there, and you need to make sure you pick the right one for your situation and your Bengal’s needs. When choosing the best cat toys for Bengals, consider your cat’s personality, energy level and need for activity, and then make sure you pick the toy(s) with which your Bengal can play constructively and learn for kitty’s overall health and happiness! I am an avid cat enthusiast, and I want to provide cat owners worldwide information, and advice to help them better their cat's life.